For news and events straight to your inbox, sign up for my newsletter here. My second novel now has a title and release date! Today We Go Home will be available August 6, 2019. 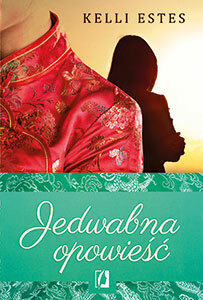 The Girl Who Wrote in Silk is on the list of “Amazing Books About Being a Woman in the Modern World” by Ezvid Wiki. See the video and list here. 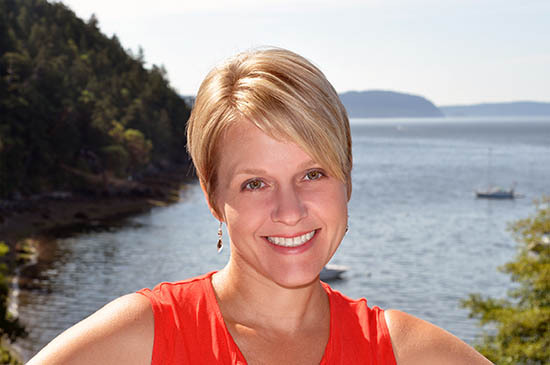 I am thrilled to announce that I have signed the contract for another book with Sourcebooks for publication in spring 2019. Stay tuned for more! 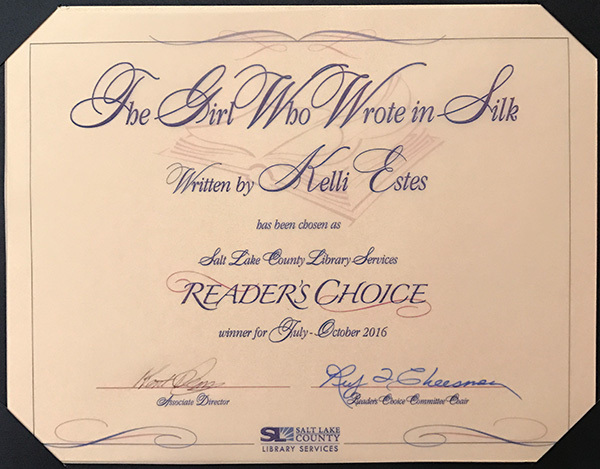 The Salt Lake County Library System has chosen The Girl Who Wrote in Silk as the winning title for their July-October, 2016 Reader’s Choice Award. Thank you! 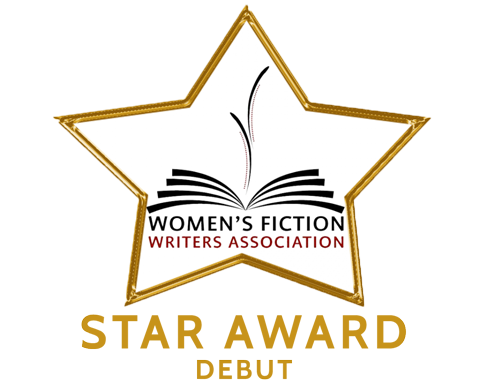 WFWA Star Award (Debut) Winner! 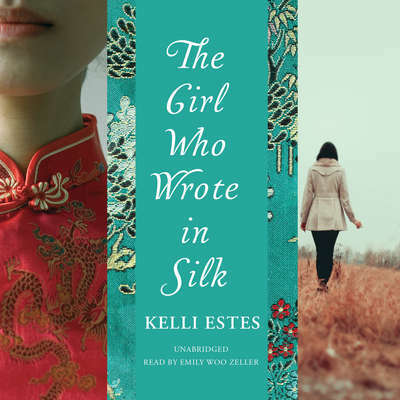 The Women’s Fiction Writers Association chose The Girl Who Wrote in Silk as the winner of the Debut Category of the Star Award. Thank you, WFWA! 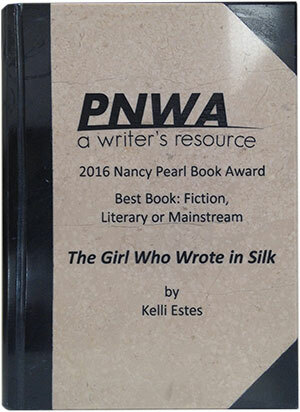 The Girl Who Wrote in Silk was chosen as the winner of The PNWA Nancy Pearl Book Award in the best book mainstream or literary category. Like Nancy Pearl, all judges for the contest work as librarians. 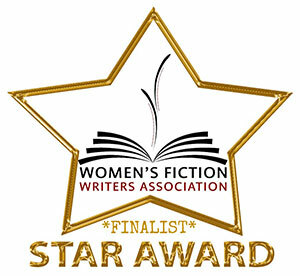 The Girl Who Wrote in Silk has been chosen as one of three finalists in the Outstanding Debut category of the Women’s Fiction Writers Association Star Award Contest. Winners will be announced on September 23, 2016. Large Print Edition is released! Featured on Speaking of China blog! Jocelyn asked me some interesting questions that I don’t think I’ve answered before regarding the book. Read the full interview here. I’m thrilled to announce that The Girl Who Wrote in Silk will be published in the German language under the label of Page & Turner Verlag, a publishing house within Random House Germany. 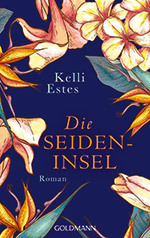 Slated for publication in October 2016, the book will be titled “Die SEIDEN-INSEL,” which translates as The Island of Silk. I would love to attend your book club meeting to discuss The Girl Who Wrote in Silk. I live in Washington State, so local meetings would work best for in-person visits but if you live elsewhere, I could join your meeting via Skype. Email me at info[at]kelliestes.com with details and to schedule! Great news for those of you who prefer to read books with a larger print! 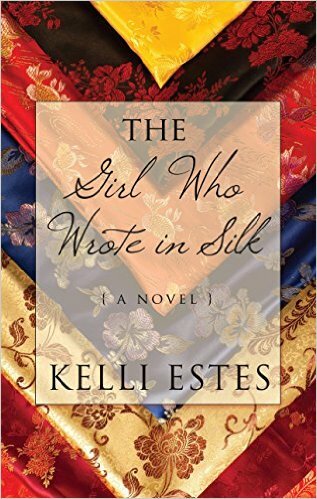 Thorndike Press will be publishing large print editions of The Girl Who Wrote in Silk, available April 2016. To read more about the true history that inspired The Girl Who Wrote in Silk, my publishing journey, the writing advice I’ve received, and my own advice to aspiring authors, visit me on author Amy Sue Nathan’s blog Women’s Fiction Writers! For a glimpse at how The Girl Who Wrote in Silk came to be written, check out my guest post on my friend, author Jane Porter’s blog! The audio version of The Girl Who Wrote in Silk will be available from Blackstone Audio starting July 7th! The book is read by Emily Woo Zeller who is a performing artist and yogi based in New York City. I stopped by the Portland Book Review site to talk about Portland’s experiences during the time of anti-Chinese riots and expulsions. How did Portland react differently than Seattle? Check it out here. This means that independent booksellers around the country who are members of the American Booksellers Association read the story and loved it so much they nominated it to be on the list. I am so honored to be chosen! Look for the July list to be posted here. Thank you ABA! Booklist is a book review magazine published by the American Library Association. Please join me at one or several of the events listed below. Most bookstores allow you to bring in a book purchased elsewhere to be signed, but call the bookstore ahead of time to be sure. Although I encourage you to support these independent bookstores, no purchase is necessary to attend. I look forward to seeing you! Release day for TODAY WE GO HOME! Details coming soon for a book launch party and bookstore events. Stay tuned and/or pre-order your copy now either online or from your local indie bookstore! 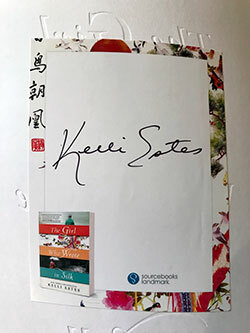 Want a Bookmark or Signed Book Plate?